Something is always cooking in our SALTOPIA kitchen! 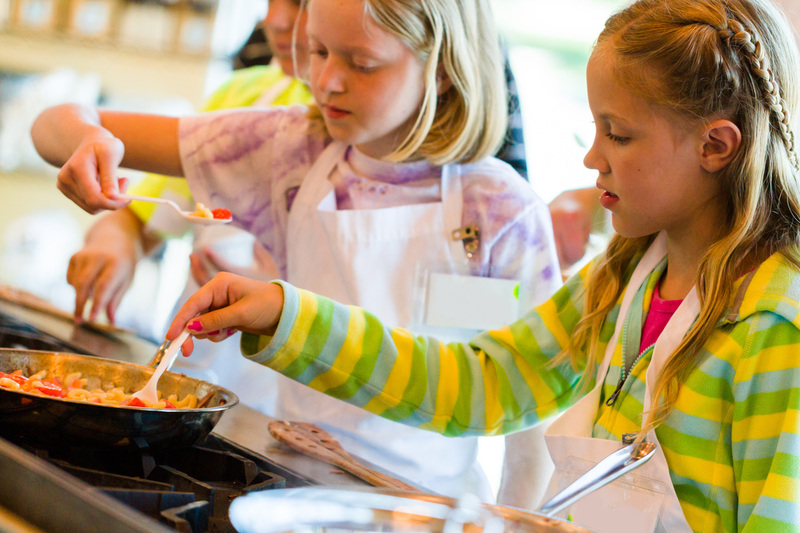 Come join us for gourmet classes just for kids! We will review the benefits of healthy eating, incorporating naturally harvested salts into foods, plus kitchen safety & cleanliness - all while we cook up a storm in our kitchen! We'll be introducing SALTOPIA throughout each dish! - Parents are not required to stay for the session. What to bring: A smile & an appetite! The kids will learn all about long term storage vegetables & fruits! Why do they last so long? Where is the best place to store them? And more! They will also be making a root vegetable chili and fresh applesauce. The kids will be learning all about eggs from the health benefits to uses for this delicious single ingredient! The kids will be setting up a pretend restaurant to play the roles of "customers" and "chefs" in order to take each other's "Egg Orders" and prepare short order eggs accordingly! This will be a fun class! This last class of our camp week, we will be exploring our spring sprouting greens! These will be the first sign of edible foliage come spring time. We will be making a fresh pesto and bread sticks for dipping. Plus the kids will be building their very own portable greenhouses to take home with seedlings!